Herbs can bring relief to a body that is ill as well as help to balance the hormone system. In this podcast you can join me as I speak to Jessie Hawkins, master herbalist and founder of Vintage Remedies. We talk about the benefit of herbs and she discusses different herbal options based on diagnosis. Here is an interview with Jessie Hawkins, who is a master herbalist and the executive director of Vintage Remedies. First, tell us a little about the history of taking herbs medicinally and how it’s different from using them in the kitchen to cook with. Currently there is quite a bit of a difference between herbs as food and herbs as medicine. With modern technology we are able to take plants into labs and break them down into individual phytochemical compositions. We are able to standardize herbs and make a lot stronger potencies of herbs available to the general population. How are the herbs that we use here in the U.S. different from Chinese herbs that acupuncturists use? Herbal medicine is actually somewhat similar to conventional medicine in that a lot of the properties are classified the same, such as anti-inflammatory or expectorant. They use a lot of the same terminology and a lot of the same treatment methods. Herbal really focuses around plant matter, anything with the leaves, roots, and tree bark. Just like with pharmaceuticals, there are countless different application methods – topical, internal, creams, capsules, and syrups – depending on what your goal is for the specific herb and what individual chemicals it contains. Let’s get into the herbs specific for pre-conception and fertility. If a couple doesn’t actually have any reproductive issues, are there herbs that would help support their fertility before actively trying to conceive? My personal philosophy, and this is going to very from herbalist to herbalist, once you become pregnant or think you might be pregnant, is to leave well enough alone. If there is not a specific thing that you need treatment for then, especially during that first trimester where everything is developing and forming and so many amazing things are happening, my personal recommendation is to try to avoid all medicinal herbs, not culinary herbs. The exception to that rule would be herbs that are used nutritionally for basic wellness. One that I really recommend for everyone is a liver support blend. That can be just milk thistle or a milk thistle dandelion combination. Liver support is great for preventative action whether or not you have fertility issues. It helps to detoxify and eliminate all those excess hormones, which can be a big cause of infertility. It can also play a big part in morning sickness and other things that occur once pregnancy is accomplished. That one is safe throughout pregnancy and during breast feeding. How about for a woman who has polycystic ovary syndrome? I noticed that Vitex is actually recommended quite often. Are there other herbs that might be effective for PCOS? I have worked with a lot of women who have struggled with PCOS. It’s such a complex problem that I feel like addressing all of the individual symptoms is useful. Chaste berry (or Vitex) is a really great herb that acts on the pituitary gland. It has sort of a progesterone-like effect. It’s also great for fibroids, general PMS, and any cycle disorder that someone many have. But there are other things that could be taken in addition to that. Liver support is great for reducing and eliminating all those excess hormones that can be in the body. I am really a big fan of a classification of herbs called adaptogens and one of my favorite adaptogens for female health is rhodiola. Rhodiola helps to normalize the body and the hormonal production and elimination. It helps to deal with the stress that may come with trying to achieve pregnancy. It is safe for long-term use, safe for pregnancy, and safe in a lot of combinations. Saw palmetto has been used by a lot of herbalists to help reduce the androgen levels within the body. Also chromium and zinc are really great for helping to normalize insulin levels. Are there specific herbs that can help with endometriosis? Some of the herbs are going to overlap. The liver support, the adaptogen, and even the chromium and zinc are beneficial to a lot of different female problems. That is likely because a lot of them have the same root causes. With endometriosis, a lot of the conventional treatments are simply to relieve the symptoms and not necessarily the root cause to eliminate the long-term problem. That would include an anti-inflammatory diet focused on omega-3s, reducing intake of commercial red meats, and consuming a lot of antioxidants through green vegetables and fresh fruits. Are there herbs that can help men with sperm count or male factor infertility? Most of the research I have seen in that area is focusing on diet and eliminating a lot of the environmental toxins. Those seem to be some of the most common factors contributing to male factor infertility. Also getting adaptogens and liver supportive herbs into the diet can help. Asparagus and artichokes are actually thistles, so they are directly related to the liver support. Even probiotics can be really beneficial to help with the elimination of excess hormones. 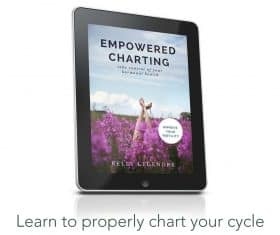 Are there herbs that should only be taken at certain times during the female cycle? Unless you are taking something, such as a natural progesterone cream, for the most part the herbs that I recommend are safe to take throughout the entire cycle. Vitex often needs to be discontinued once pregnancy has been achieved. (read here all about vitex before you begin using it)I generally recommend using it to get things straightened out and then discontinuing prior to actively trying to conceive. The rest of the herbs can be taken in moderate average doses throughout the cycle. How can couples find out which herbs are going to work with their bodies, how often to take them, and how long it will take to see the full effects. It is going to depend on the individual person as well as what symptoms they are experiencing. With something complex like PCOS, there are a number of different symptoms and not everyone will have them all. For example, not everyone will have insulin resistance. Vitex will generally take 4-6 months before you see the normalizing factors of it begin to take place. A lot of people see great results from taking milk thistle and dandelion within a week. Having trouble with a sluggish liver can present itself in so many ways. You might immediately see a reduction in one symptom and then months later notice other symptoms have been reduced. Do you have any resources where couples can go to get good, solid information on what to take and how to take it? Or how to find an herbalist to work with? I recommend visiting a holistic practitioner. Anyone who has been trained really well with a 2-4 year program would be able to sit down and help you analyze your blood work and educate you on what would be safe, what to expect from it, and when and when not to take it, so you are equipped with the information you need to make good decisions. However, they wouldn’t be taking your blood work, diagnosing, treating, or prescribing unless they are also a licensed professional. I’m sure it’s not easy to do and find time for. But, if you ever write up a transcript on this podcast I’d love one. @Becky Webb, I agree. I am listening and it is hard to know how to spell some of the herbs that are mentioned. It is a bit hard to understand from the quality of the audio as well. It would be great to have a list of what was mentioned, almost like a glossary. Thank you for sharing though. I’ve been listening and jotting down notes as I go. I’ve only made it through the part about PCOS so far though but I thought I’d share what I wrote. 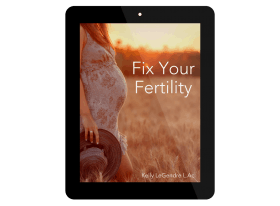 For those who may not have reproductive issues and are just looking for something to support fertility Milk Thistle or a Milk Thistle and Dandelion combination could be beneficial. These support the liver which detoxifies the body and eliminates excess hormones. For those with PCOS Vitex (aka Chasteberry) is beneficial. It acts on the pituitary gland and has a progesterone-like effect. It is useful for many things like fibroids, general PMS, and cycle disorders. Liver support as she previously discussed is beneficial as well as an adaptogen called Rhodiola which helps normalize hormonal production and elimination. It helps you deal with the stress of trying to conceive and is safe for long term use and for pregnancy. Saw Palmetto and Stinging Nettle are useful for reducing the androgen levels within the body. Chromium and Zinc are great at helping normalize insulin levels. @Becky Webb, I do have a transcript of it in my book. 🙂 But because it’s all like “published” and stuff, I have to make sure that I don’t put everything I’ve written here on the blog……. !